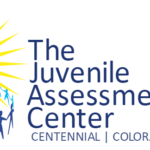 If you know a child who may benefit from an assessment, please give us a call for a free phone consultation at 720-213-1320.
Who can refer a youth to the Community Assessment Program? What happens if I refer a youth to the Community Assessment Program? This is a voluntary service for the youth and his or her family.